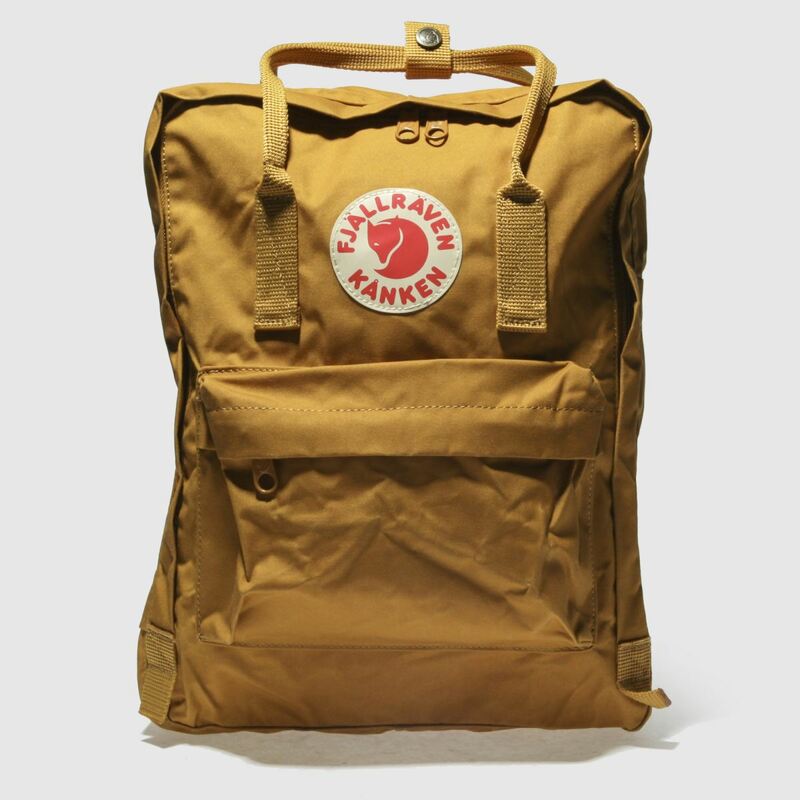 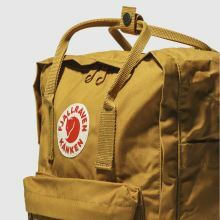 Perfectly at home on the streets or in the mountains, the Fjallraven Kanken backpack is the ultimate wear-anywhere bag. 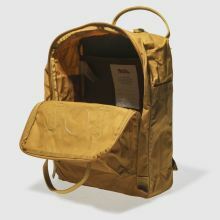 Crafted with a strong fabric construction, the tan design boasts signature carry handles and a reflective branded patch. 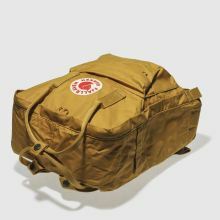 H38xW27xD13cm.